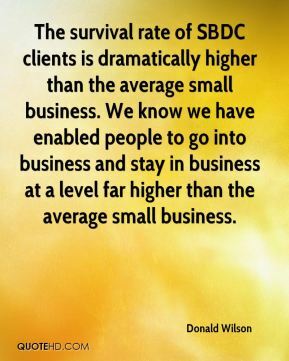 The survival rate of SBDC clients is dramatically higher than the average small business. We know we have enabled people to go into business and stay in business at a level far higher than the average small business. 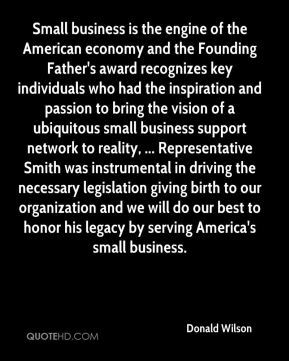 Small business is the engine of the American economy and the Founding Father's award recognizes key individuals who had the inspiration and passion to bring the vision of a ubiquitous small business support network to reality, ... Representative Smith was instrumental in driving the necessary legislation giving birth to our organization and we will do our best to honor his legacy by serving America's small business. 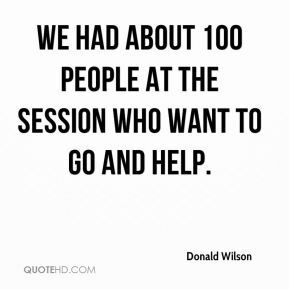 We had about 100 people at the session who want to go and help. 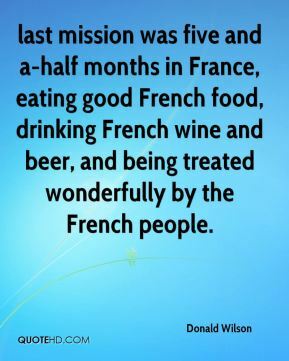 last mission was five and a-half months in France, eating good French food, drinking French wine and beer, and being treated wonderfully by the French people. Small business is the engine of the American economy and the Champion of Small Business Development and Founding Fathers awards recognize individuals and organizations making significant contributions to small business development, ... We congratulate our inaugural award recipients and we look forward to their continued contributions to small business development. 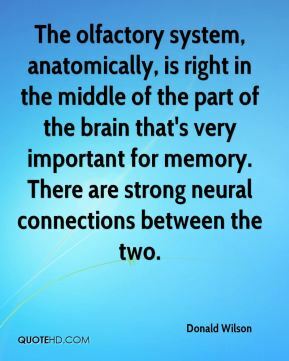 The olfactory system, anatomically, is right in the middle of the part of the brain that's very important for memory. There are strong neural connections between the two. 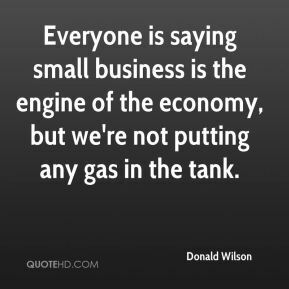 Everyone is saying small business is the engine of the economy, but we're not putting any gas in the tank. We're puzzled because the president has made a major part of his economic program an ownership society. What we are doing every day is helping people open businesses and grow their businesses.